UK out of the EU - What will happen next? So, we woke up on Friday 24th June to find that the UK had made one of the most momentous decisions in its history. After more than 40 years of being in the EU, the voting public of the UK decided, by a small majority, that it is time we got out. I must admit that my first reaction, like many people, was one of shock, horror and dismay, but will it really be all that bad to go it alone? Perhaps some of the dismay voiced by many disappointed younger Remain voters is partly driven by the simple fact they have never known anything other than a UK that is a part of the EU. The truth is that we survived outside the EU before and we will survive outside of it again. What younger voters may also not realise is that, what started out as an organisation to promote free trade in Europe has turned into a lumbering, inefficient, and extremely expensive bureaucratic monster that is hell-bent on creating a federal United States of Europe. There will be some immediate damage to the UK economy and we’ve seen some of that impact already, but what has happened in the last few days is driven by the short term panic over uncertainty, not by any real, concrete facts. Having got over my initial surprise at the result of the EU referendum, here’s why I think we should all stop panicking about Brexit and get on with the job of making the new order work. There is no need to panic-buy Danish beer, French cheese, or Belgian chocolates and you don’t have to worry about Granny who retired to Spain being kicked out tomorrow. It will take at least two years for the UK to extract itself from the EU and it could even take up to five years. The referendum vote doesn’t take us out of the EU; it is merely the signal to the government that that it should start the process. Leaving the EU doesn’t mean that we will no longer be able to trade with the EU, it just means that new trade agreements will have to be agreed and there may be tariffs imposed on that trade. We are the 5th largest economy in the world. The EU will want to us to buy their goods and they will still want to buy goods and devices from us. Ultimately, economic sense will prevail. We are, in fact, the biggest customer of the EU, so they are not going to want us to go away. We need to get things in a bit of perspective in a global sense too. There are currently 28 countries in the EU and it has a total population of just over 500 million. There are 167 countries in the world, including the economic giants of the USA, Russia, China and India, who are not in the EU and the total world population is 7.4 billion. That means that there are still a lot of people who want to be our buddies even if we are no longer members of the EU! Unfortunately, the EU referendum was plagued by exaggeration and scaremongering on both the part of the Leave campaign and the Remain campaign. Whilst the claims of Boris and Co that the EU costs us £350 million every week are an exaggeration, we are currently making a net contribution to the EU to the tune of approximately £23 million per day, which works out about £200 per adult per year we will save by being outside the EU. 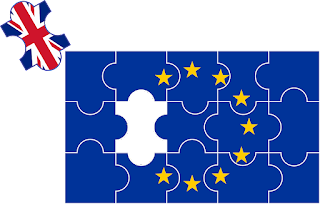 The whole idea of the EU is that it creates a single market, No borders, no trade restrictions, so we all benefit. The truth is, though, there are still huge disparities between the economies of member countries. The prosperous countries, like the UK and Germany, are propping up or being dragged down by, depending on your point of view, the less prosperous countries. In the EU, we are not allowed to assist our industries if they get into difficulties. Most recently, we saw this with the steel industry. Even if the government had wanted to step in and save all those steel jobs, their hands were tied by EU state aid rules. Out of the EU, we take back the rights to make such decisions. Let’s assume that the EU does make it more difficult for us to trade with EU member countries, which is actually quite likely not to be the case. The EU is declining in economic importance anyway. In 1973, the EU accounted for 37% of world GDP, but by 2025, it is forecast that it will only account for 22% of world GDP. That will be even less when the UK figures are taken out of the equation. 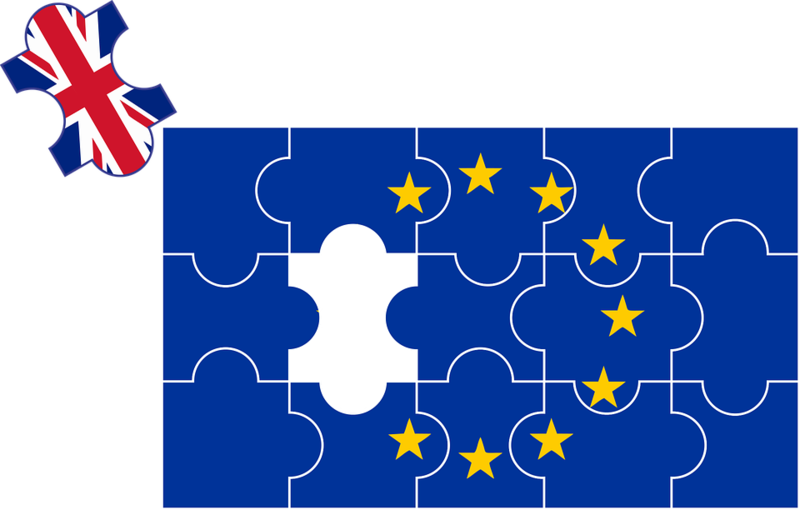 The British Chambers of Commerce estimates that EU regulations cost British companies in the region of £7.6 billion per year to comply with. In fact, since 2010, British businesses have been burdened with more than 3,500 different EU laws that they have had to comply with. EU red tape has affected nearly all aspects of life, from how bendy a banana can legally be (I kid you not), to the maximum power rating for a vacuum cleaner. Right now, European leaders are throwing their toys out their prams because the majority of UK voters have made it clear that they don’t want to be in the EU gang anymore. The reality is that we can’t live without the EU and they can’t live without us. When the dust has settled and the temper tantrums have worn off, a sensible deal will be struck and it’s quite likely that it will include UK access to the EU free market and continued freedom of movement between the UK and EU countries too. There are already murmurings of an associate membership of the EU being a possibility for the UK.